There is no surviving artefacts or descriptions of Jewish shoes from the period of the early Bible (Nahshon 2008 p2). However footwear does hold an important significance to early Israelites. According to the Scriptures, God gave man a ‘coat of skins’ to wear. "...Unto Adam and also unto his wife did the Lord God make clothes of skin and clothe them..." (Genesis 21:3). Once the Hebrews acquired the art of tanning they used thick hide for sandals. The Biblical sandal was either leather or wooden footboards held to the foot with finer leather thongs Nahshon (2008). The lyric in the Song of Songs (circa 900 BCE ) confirms sandals were worn by the high born. "How beautiful your sandaled feet, O prince's daughter! Your graceful legs are like jewels, the work of a craftsman's hands.” (Song of Songs 7:1). One of the earliest known depictions appears on the Assyrian Black Obelisk of Shalmaneser III (circa 841 BCE) and depicts Jehu (son of Omri) bringing a tribute the Assyrian king. Jehu is prostrating himself in homage and is depicted wearing up-turned pointed shoes. These were fashionable with Assyrian royal families and may not be representative of ordinary shoes worn by Jews. By the 8th century BCE concerns were expressed by elders as to the irreverence of decorated elevated sandals worn by young women. (Isaiah 3 16-20). Later during the period of captivation in Egypt, Jewish slaves were taught the craft of Egyptian sandal making and took the trade with them. The fleeing slaves were wore sandals (Ex 12:11). According to the Holy Scriptures Moses wore shoes when he approached the Burning Bush (Exodus 3:5). "Remove your shoes from your feet, for the place on which you stand is holy ground." This was repeated again, at the confirmation of Joshua as the new Moses. Hence forth footwear and bare feet took on major symbolic significance in the Jewish religion. These are seen in the Torah , (Laws of Moses) and the Shulchan Aruch, (Code of Jewish law) which was written in the 16th century. Every day event were to be seen as something to worship the glory of God including putting on sandals. The Jewish laws prescribed the order in which you put them on. The right went on first followed by the left. (Shulchan Aruch/Orach Chaim 2:4). The left shoe was to be tied firs and the whole process reversed when taking the shoes off (Shulchan Aruch/Orach Chaim 2:5). It is thought this custom was based on the belief the right side was more important than the left and subsequently the right foot should not remain uncovered while the left was covered. Shoes were tied from the left because knotted teffilin was worn on the left arm. This refers to the children of Israel being out of Egypt as an act of God. When walking outdoors, Jews were required to cover the entire body including their feet (Shulchan Aruch/Orach Chaim 2:6). By the end of the first century CE shoes were considered an item of sensuousness, comfort, luxury and pleasure. Rabbi Akiva (ca.50–ca.135 CE) instructed his son Joshua not to go barefoot. In the Talmud (200CE – 500 CE) (Shabbat 129a) it declared "A person should sell the roof beams of his house to buy shoes for his feet, " which if taken literally would again underline the importance of footwear in the Holy Land. Scholars and thise well versed in Jewish Law (Talmid Chacham) were never to go out wearing shabby or worn out shoes. Much later the Kabbalists considered the body as "the shoe of the soul," to protect it during its journey in the physical world. According to Nahshon (2008) the primodial connection of the naked or semi naked foot to the land became an important element of Israel’s Zionist pioneer culture. Walking barefoot symbolically intimated one of three states: the lack of social status, an act of humility, or reference to the Divine. A common punishment or judgment was being forced to go without shoes. Captives went barefoot and their footwear was often taken as a trophy. The Jewish custom of not wearing shoes was also taken as a show of remorse, penance or mourning (Book of Isaiah 20:2). In Talmudic times both the pall bearers and the mourners went barefoot. When David was in mourning he went barefooted. Jewish Law determined wearing leather shoes was not permitted during the period of the seven days of mourning (shiva,). For practical reason when shoes were allowed the custom was to place a little earth or pebble in the shoes to remind the wearer that they are in mourning. Jews are buried in a shroud covering the feet and the corpse id never dressed in leather shoes. In the laws of halitzah when a married man died childless and leaving an unmarried brother, the brother was obligated to marry his widowed sister-in-law. This was called a levirate marriage and was primarily to continue the family linage.Deuteronomy (25:5-9); and Book of Ruth 3:4. If the brother in law refuses to marry the widow a ceremony involving the halitzah shoe was undertaken. The shoe worn on the right foot of the male was made from the skin of a kosher animal. It was like a moccasin made of two pieces and sown together with leather threads with long ties. The widow places her left hand on the brother in laws calf, then undoes the laces with her right hand before removing the shoe from his foot. She then throws it to the ground, and spits on the ground in front of him. The beth din then recites the formula releasing all obligations. Here the shoe is a symbol of transaction and reference is made in Biblical times to shoes and sandals being used to seal bargains. Human beings intrinsically used their bodies (or parts there of) as physical measurement of the known universe and so it would see perfectly logical to extend this to describe all human endeavours. The idea our ancestors described the universe with reference to the human body would give credence to the argument when describing faith there would be a head of a religious order; and feet, or the foundation of followers. This would translate into concrete iconoclasts as found in talisman of faith e.g. Statue of Christ the Redeemer, Rio de Janeiro. The absence of sophisticated transport in Biblical Times required walking as the primary means to spread the Gospel. By implication this would necessitate healthy feet and encourage protection of them. 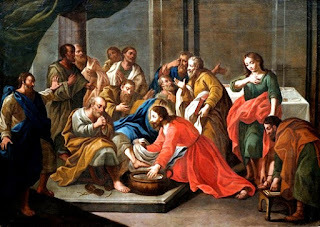 No surprise, perhaps to find reference to feet and sandals became closely associated with evangelism within in the New Testament. Nahshon E 2008 Jews and shoes Berg Oxford.